Now that signs of Spring are flourishing everywhere, City of London Tourism is asking for volunteers to help make the city look the best it can and to provide a clean place for residents and visitors alike. The City wants to put its best foot forward as we welcome cyclists from across the country to the Redbud Ride on Saturday, April 13th. London Clean Up Day will be held across the city on Saturday, April 6th. Crews will meet downtown at 9 a.m. at the London Tourism office, which is located at 202 South Broad Street across from the Laurel County Jail. Equipment and materials will be provided to assist in the cleanup. All volunteers will be divided into groups and assigned a section of a street or neighborhoods around the community. Groups can also designate which areas they want to patrol, as long as they let organizers know ahead of time. Volunteers who plan on participating in London Clean Up Day are asked to mark as “going” on this event page. 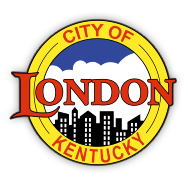 Groups of 6 or more should contact the London Tourism and Parks office at londonkytourism@gmail.com, or by calling the City of London Tourism and Parks Office at 606-330-0501.